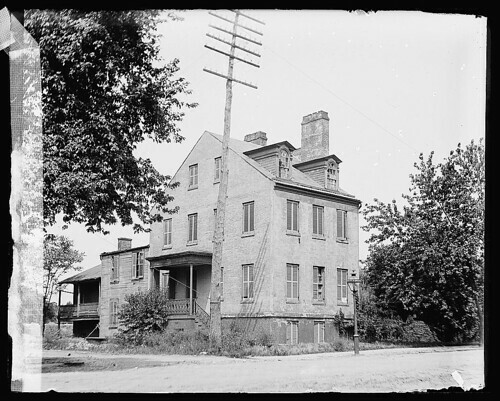 The Carbery House was built in 1818 at the northwest corner of 17th and C Streets, opposite the Ellipse. 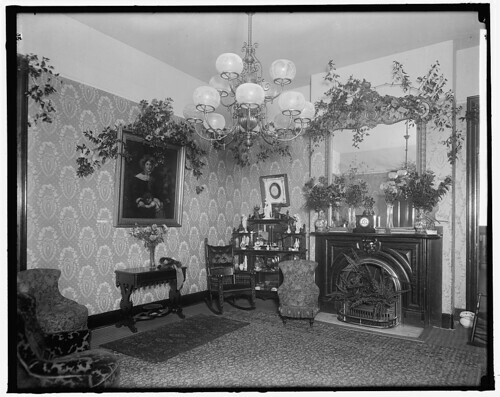 It was the residence of Thomas Carbery, mayor of Washington and a noted member of St. Patrick’s Catholic Church. Carbery became active in the public affairs of Washington in 1819 when he was elected to the city council. He remained active until his death in 1863. While the house was no stranger to tragedy — his wife and four children died there within a short time in the 1830s — it was more famously known as “Miracle House” due to the widely publicized recovery of Thomas’ gravely ill sister, Mrs. Ann Carbery Mattingly. She had been ill since 1817 and, being widowed, was invited to live in the house upon its completion. She grew increasingly worse prompting the family to consent to a priest writing Prince Hohenlohe of Hamburg, Germany. Hohenlohe was a known healer, and agreed to pray for Ann’s recovery.On the date and time that Hohenlohe stated he’d pray for recovery, Ann rose from her bed being completely healed. The house itself was built in the Federal style, though the entrance was atypically located on the side rather than the front. The cast-iron porch was an 1840 addition. Carbery House was eventually razed in 1903. The Washington City Orphan Asylum was founded in 1815 to care for the destitute children of Washington. It was originally located on H Street, NW, between 9th and 10th Streets in a building designed by Charles Bulfinch and completed in 1828. The images here show its second location on the southeast corner of 14th and S Streets, NW. This larger lot was donated in 1865 by William W. Corcoran. 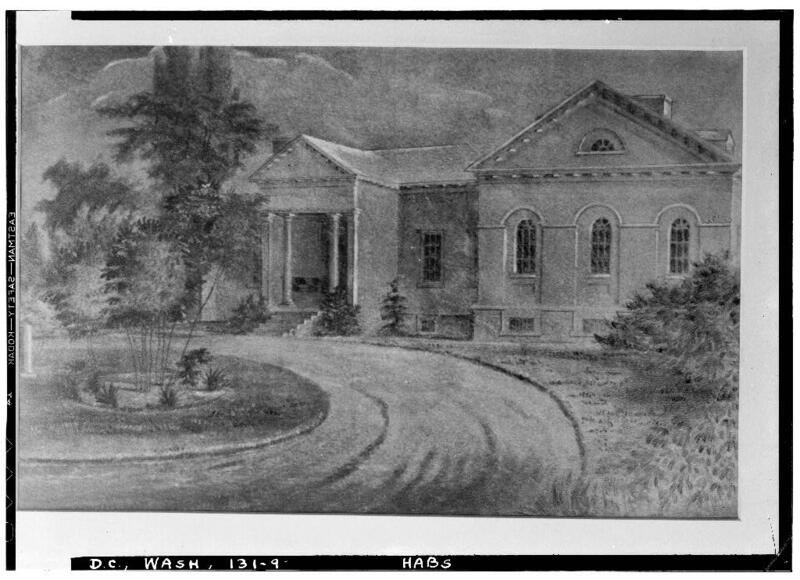 The Washington City Orphan Asylum authorized construction of the new building in the Italian villa style to plans by architect John C. Harkness. 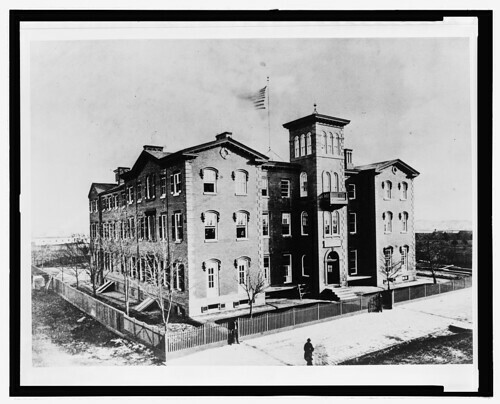 Use of the building for the Orphan Asylum was delayed by a decade when Secretary of State Seward expressed his need for space due to a shortage caused by the Civil War. As a result the building was leased to the State Department for its headquarters. In 1927 the Washington City Orphan Asylum unofficially changed its name to Hillcrest Children’s Center and moved to a new location at Nebraska Avenue and 42nd Street, NW. Ultimately, the building at 14th and S Streets was razed in 1963. As evidenced by the detail to the right from the 1818 Map of the City of Washington by Robert King, Roosevelt Island wasn’t always uninhabited, or even known as by its present name. 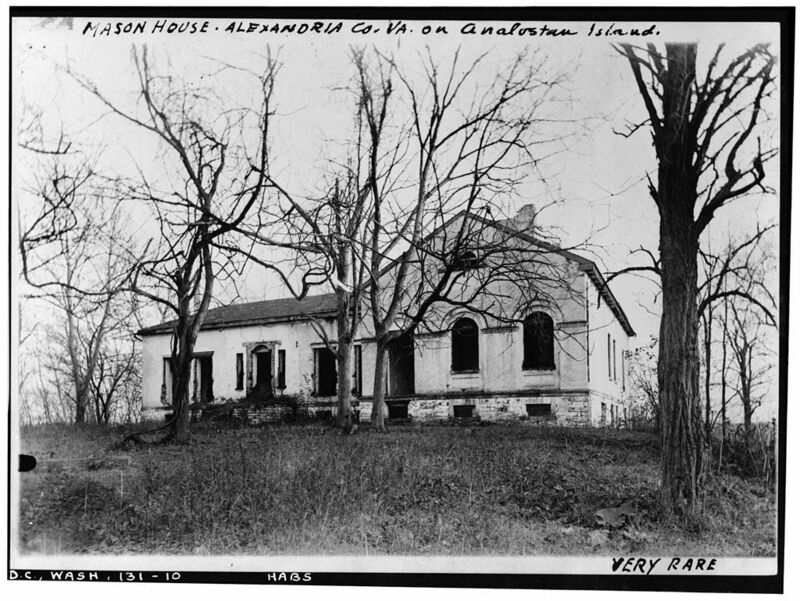 When the island was purchased in the early eighteenth-century by the father of George Mason of Gunston Hall, it was know as Analostan Island. The name Analostan refers to the seventeenth-century Necostin Indian tribe that once inhabited the area. The land was not developed until the island and some 2,000 additional acres in Virginia were inherited by General John Mason. General Mason became one of the most prominent businessmen of Georgetown. He was a founder of the Bank of Columbia on M Street in 1793. He developed Analostan, also known as Mason’s Island, into a self-contained estate, producing its own food. 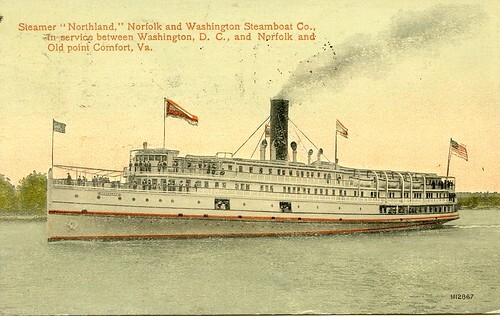 Much like today, one way onto the island was via a causeway from Virginia. 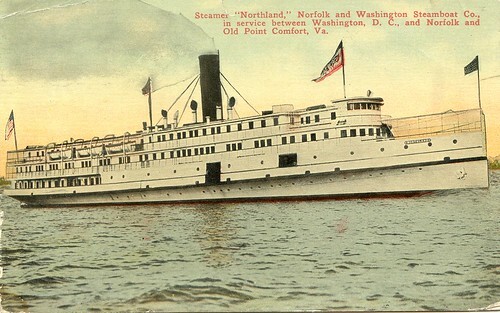 Unlike today, there was also a ferry from the Georgetown shore that stopped at the island. The house was built ca. 1796, though never completed. The likely answer is that the house’s fortunes were tied to those of General Mason, who was forced to move from the island when the Bank of Columbia collapsed in 1833. The house was primarily Federal in overall design, but possessed several important neoclassical elements that made it advanced for its time in Washington. These elements included the porch, the stuccoed facade, and the arched windows set into blind recesses. The property suffered several indignities after Mason’s departure. During the 1850s and 1860s the mansion was open to public use and was an army camp during the Civil War — after which it was unsuitable as a residence. 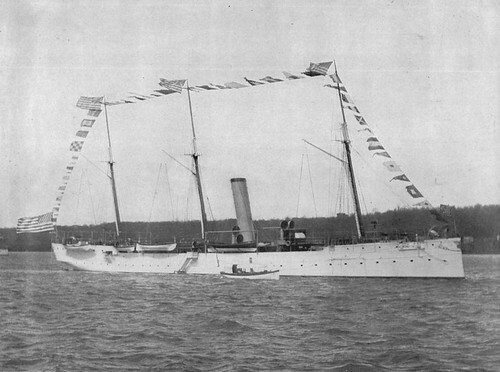 It also served as home of the Columbian Athletic Club and the Analostan Boat Club after 1867. In 1869 a serious fire destroyed the interior. 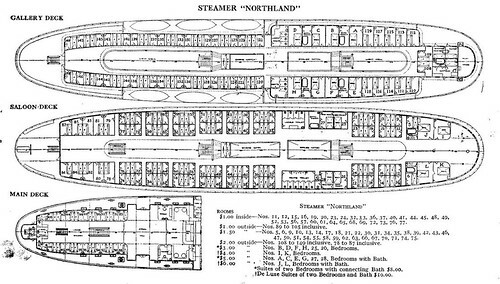 Another fire in 1906 caused the roof to collapse. 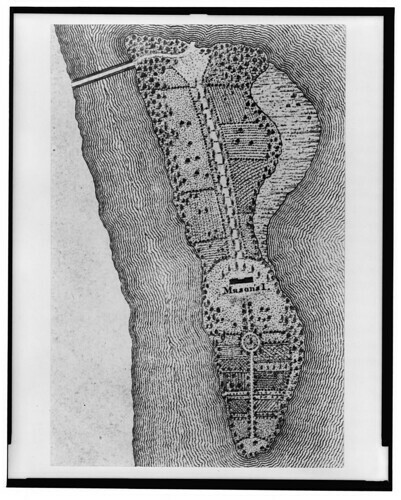 The Theodore Roosevelt Memorial Association acquired the island in 1931 and donated it to the federal government as the future site of a city park. 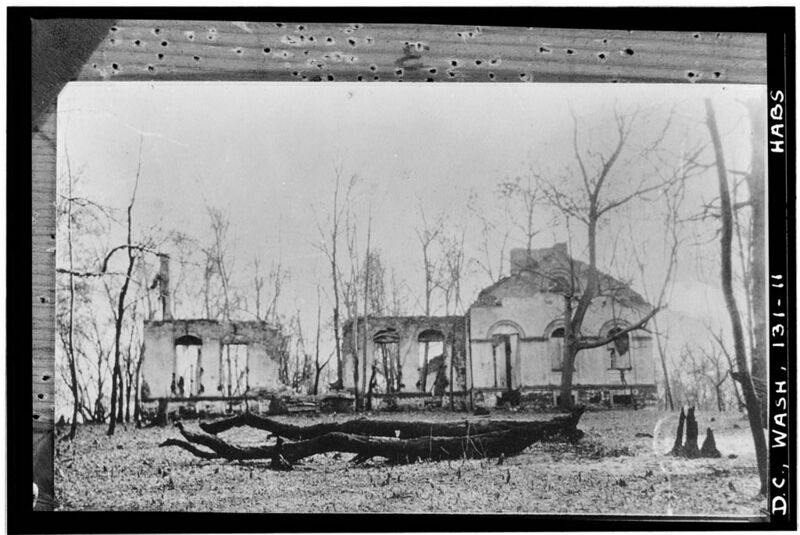 The Civilian Conservation Corps had cleared much of the island and pulled down the remaining walls of the home by 1935. 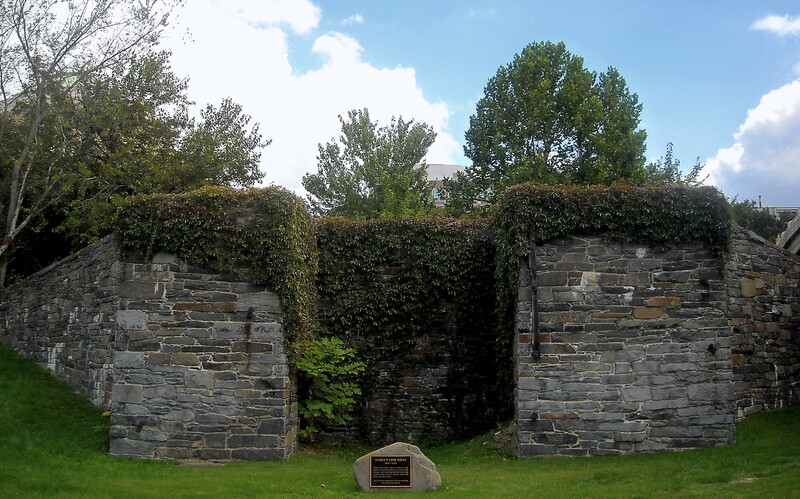 The Godey Lime Kilns were an important part of the mid-19th century commercial life of Georgetown. The kilns were operated to produce lime from 1864 to 1908. At the peak of operation, the kilns consisted of four oven structures and an assortment of sheds and structures scattered around them. 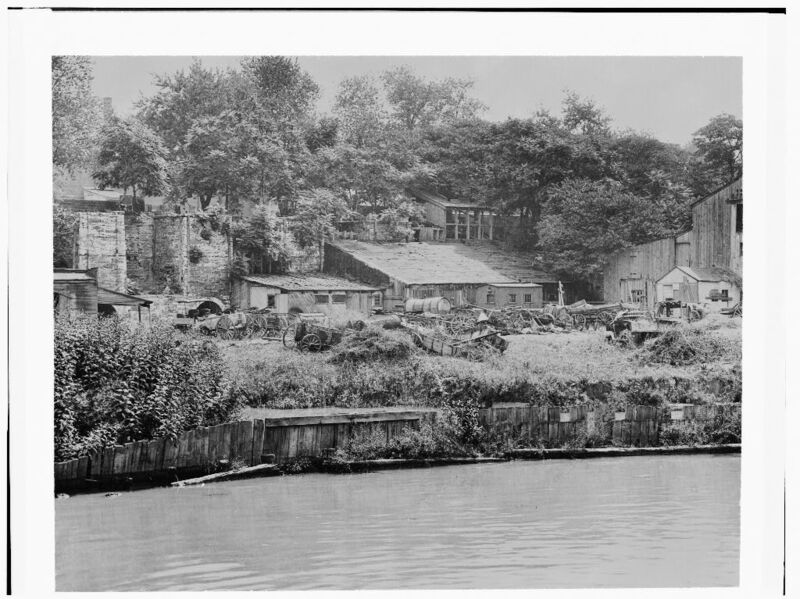 The entire business was situated on the edge of the Chesapeake and Ohio Canal. 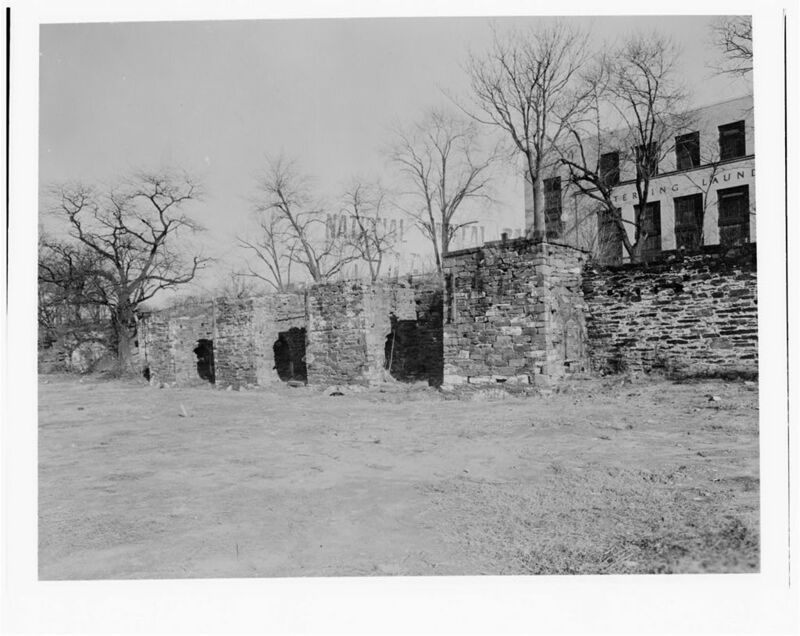 By the 1960s,t he remains of the Godey Lime Kilns were located amid the Rock Creek and Potomac Parkway, the Whitehurst Freeway, and highway and access ramps for K Street. Only two of the original four ovens remain, and these two were half buried before the National Park Service and District of Columbia Highway Department combined efforts to stabilize them. 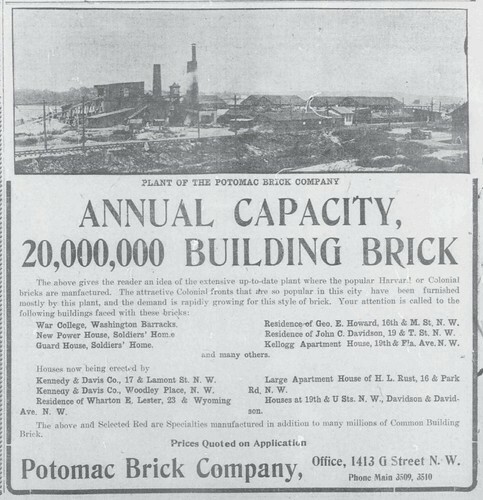 What I liked about this ad — from the September 6, 1908, Washington Times — is that it mentions Kennedy & Davis Co. as a builder using bricks from the Potomac Brick Company. It also indicates which Kennedy buildings are under construction using their bricks. Kennedy & Davis is the forerunner of Kennedy Brothers, Inc.